This mini family suite is ideal for mum, dad and a small child. 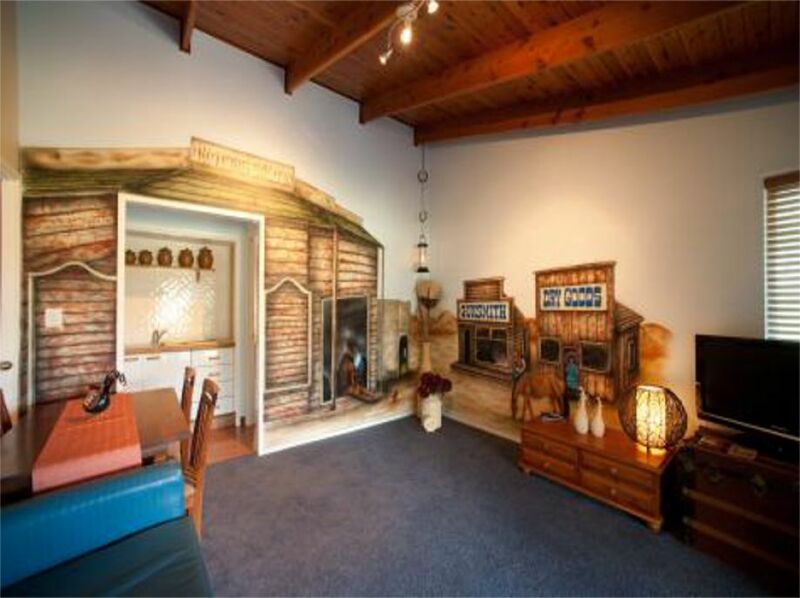 The suite has a fun style with a western theme. The Okotoks Suite is self-contained with a fully-equipped kitchen and features one Queen bed and separate lounge with sofa bed.